Fitness walking is one of the safest and most effective forms of aerobic exercise. Fitness walking can improve heart health, help you to maintain a healthy weight and can boost mood. Learn more about the benefits of fitness walking (PDF). 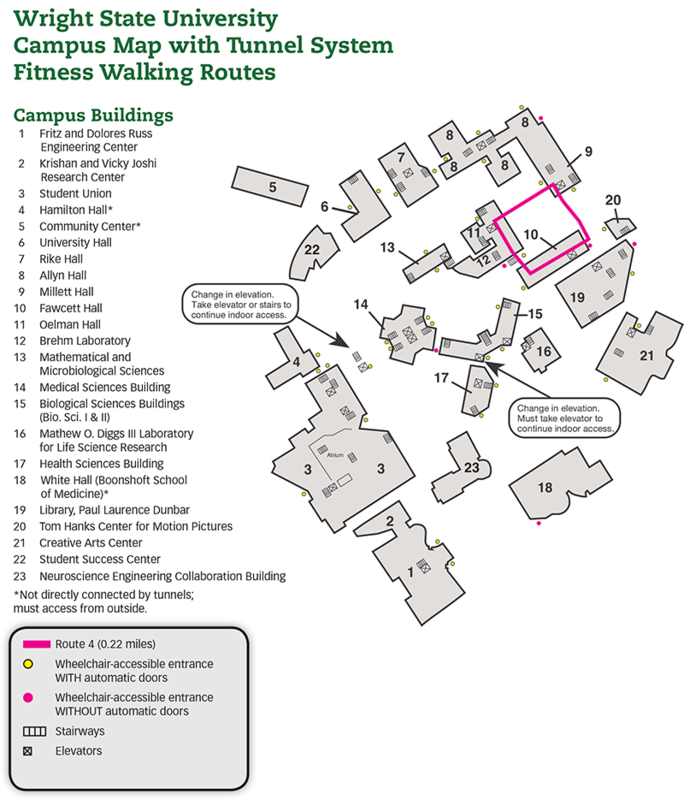 The campus tunnel system is a great resource for fitness walking on campus all year long!